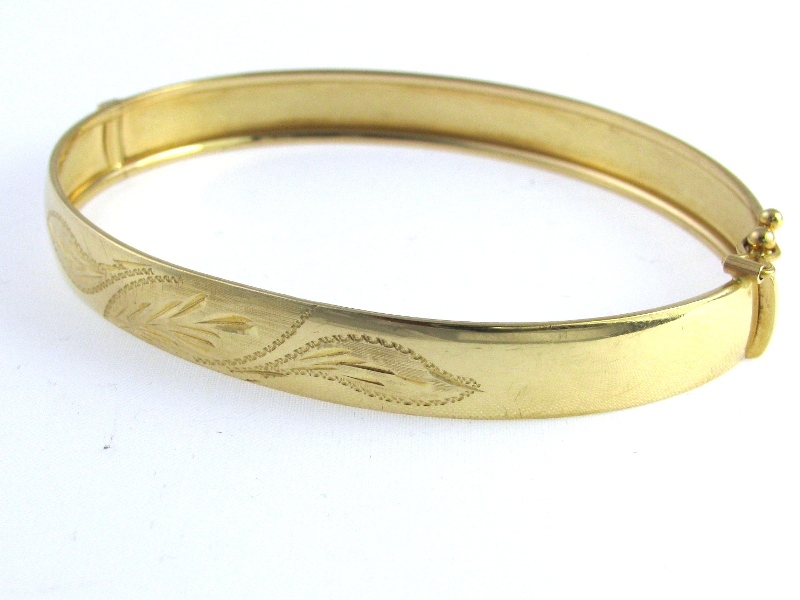 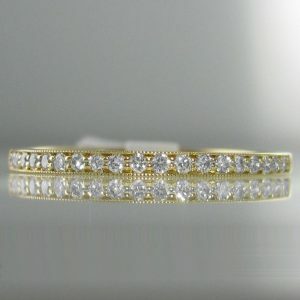 Here we have a very elegant 18k yellow gold bangle, with floral etching. 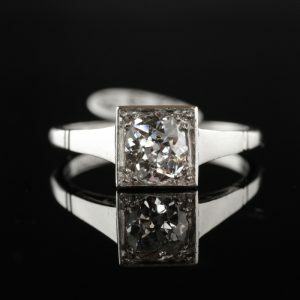 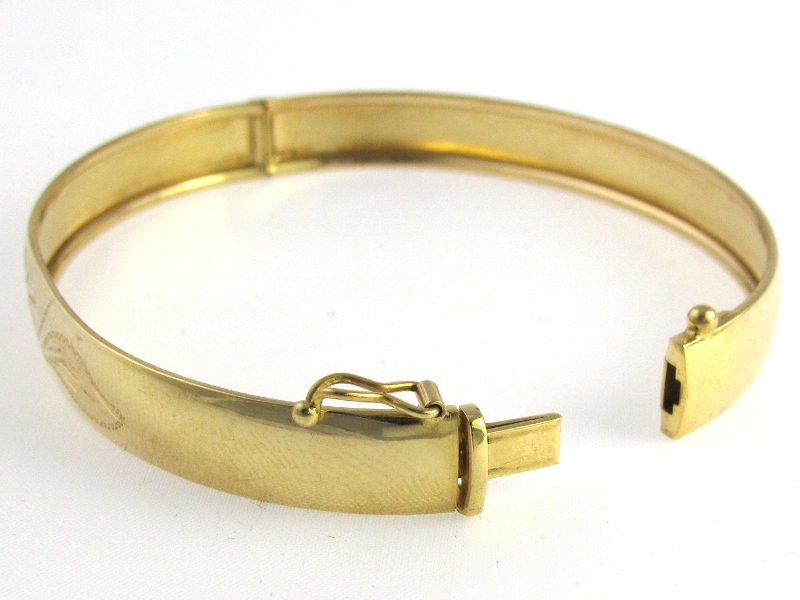 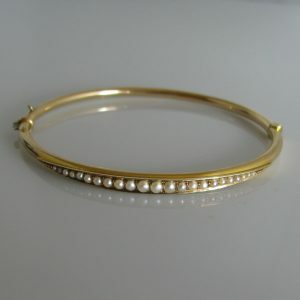 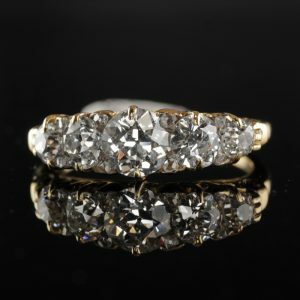 The 18k gold bangle is closed using a box clasp and is in excellent condition. 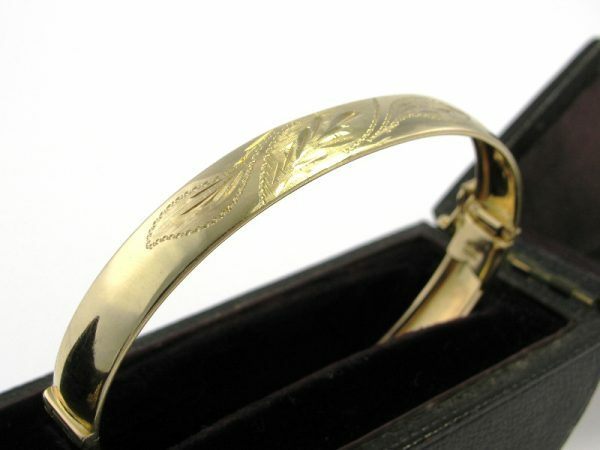 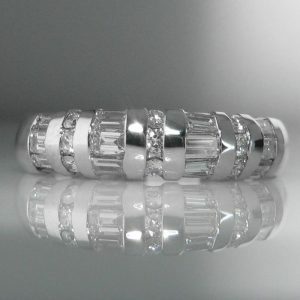 The gold bangle has the stamp 750 on the clasp.